Want to do a little shopping or showcase your own craft? 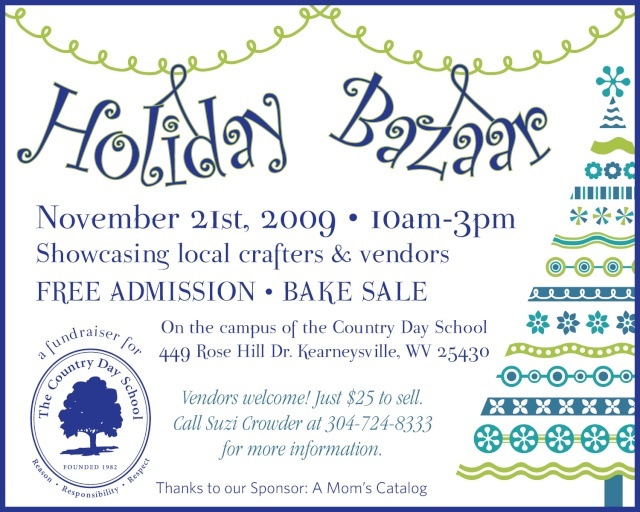 The Country Day School is having a Fundraiser in the form of a Holiday Bazaar on Nov 21st. See flyer below for more details.